Everyone knows that I consider myself the luckiest person in the world because I get to write about the automotive industry and the vehicles that I love. From pickups to sports cars, from Rams to Rogues, I love everything on wheels. 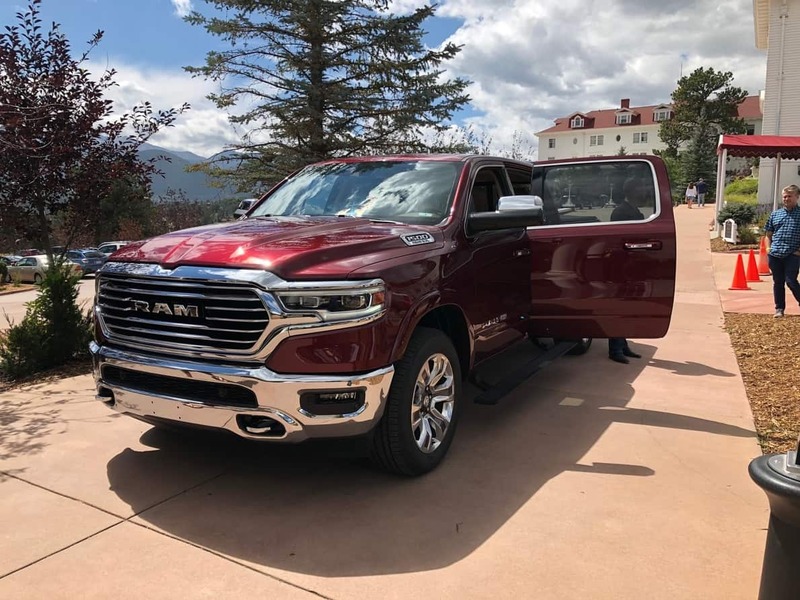 This was the week to enjoy the latest and greatest vehicles with the Rocky Mountain Automotive Press as we traveled to the historic Stanley Hotel in Estes Park, Colorado. The 2019 Ram 1500 Longhorn was one of the big stars of the show, but every vehicle had its time in the sun! The Ram drew lots of accolades because of the beautiful interior and attention to detail on every inch of the truck. 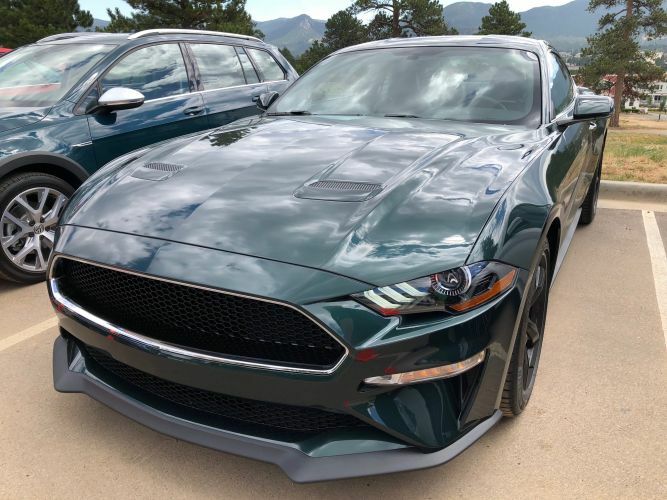 The spectacular 2019 Ford Bullitt Mustang was the center of attention as it traveled through a number of little mountain towns, both on the way up and back from the Stanley. Even at the stopping off points where we traded off vehicles, people stopped and stared at the glorious dark green Mustang, reminiscent of the movie star Mustang. 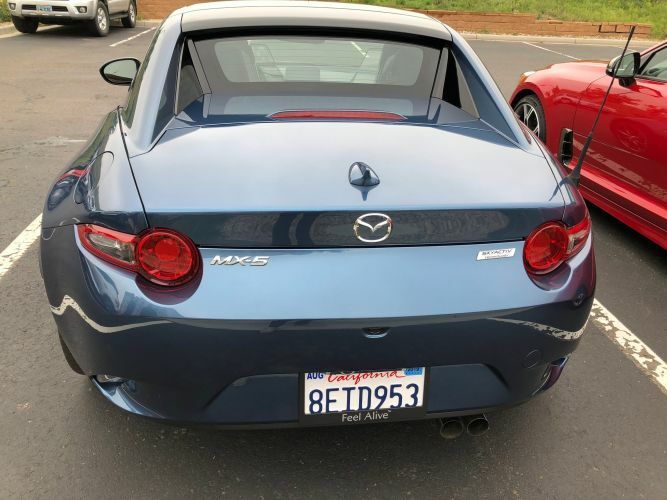 The 2019 Mazda MX-5 RS was great fun as its more powerful engine made quick work of the mountain roads. Imagine my frustration as I was stuck behind two dump trucks going 20 miles-an-hour for a stretch on a twisty mountain road. 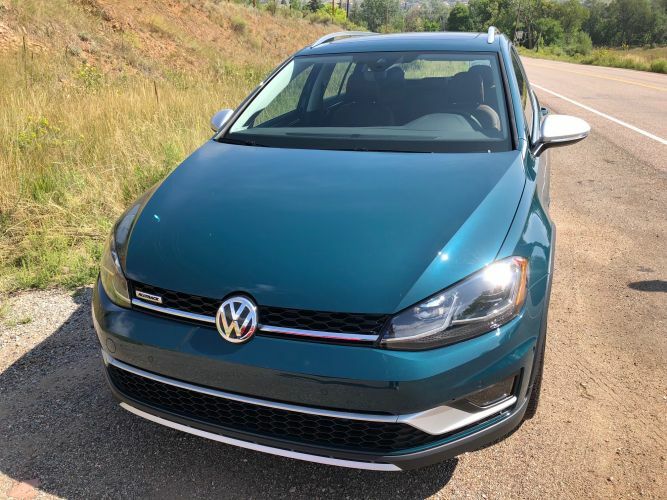 At that point I was piloting a 2018 Volkswagen Golf Alltrack and dying to test out its handling on the curves, but double yellow lines prevented me from passing and pushing the limits. Similarly, you could feel the 2018 Jeep Wrangler Rubicon wanting to leave the highway and go offroading, but no time for playing, this was serious car-driving business! The sporty 2018 Kia Stinger shows how far the company has come in designing a vehicle that is attractive, sporty and downright fun. The Stinger too, got lots of looks as people tried to figure out what it was! There aren’t many of them especially in the mountain towns. I was impressed by how seamlessly the 2018 Chrysler Pacifica Hybrid switches between gas and electric power while handling the inclines and grades. 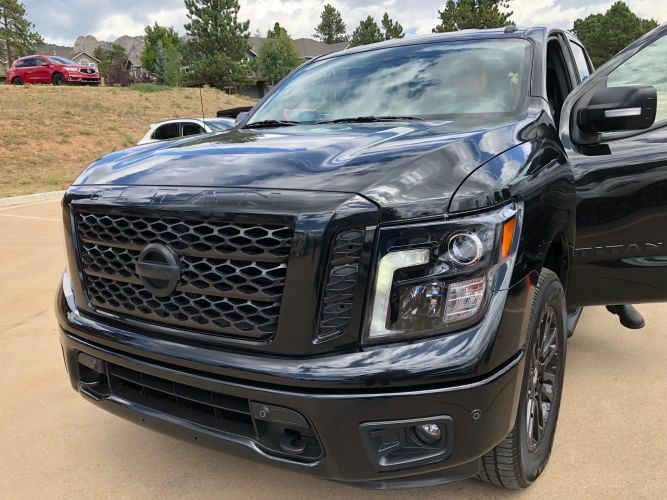 The huge Nissan Titan showed why it was selected as the Rocky Mountain Truck of the Year! The Midnight edition is a striking addition to the Titan line up. The Midnight Edition includes body color grille with dark insert, dark headlamps, black fog lamp finisher, black exterior badging, black mirrors, black door handles, 20-inch black wheels, body color front and rear bumpers, black step rails, dark charcoal interior trim and special badging. These are just a few of the vehicles that I had the opportunity to try out this week. You’ll see much more about many of them in future stories! Now you see why I consider myself lucky! You can compare many of the vehicles at NHTSA’s comparison site.